Normally we perceive an orchestra in its entirety, as a large instrumental body of sound that is still perceived as a unit but sounds different depending on its members, the venue and the music being performed. Orchestra On A Wire attempts to let the audience experience a different way of hearing this body of sound. 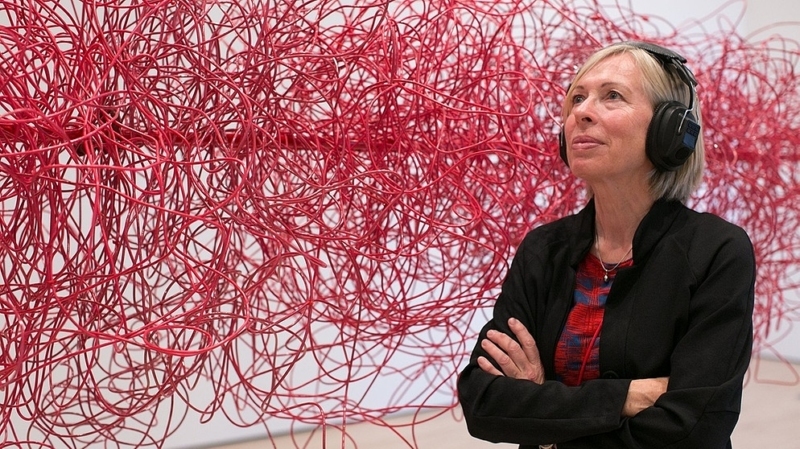 Christina Kubisch has worked with electromagnetic induction since the early 1980s, a technique in which recorded or live sounds as well as inaudible electromagnetic signals are transmitted via electrical cables. Wearing special headsets developed by the artist, the members of the audience are able to hear different sounds in clearly defined areas and experience different combinations of musical events and instruments. The appearance of Quartetto Maurice in Darmstadt is supported by the Friends of IMD.